The feature film “Dr. 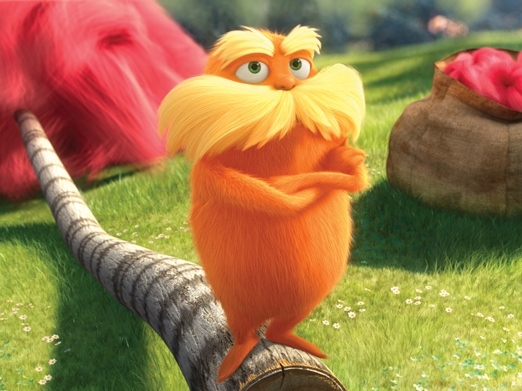 Seuss’ The Lorax,” documentary “Chasing Ice” and HBO comedy “Veep” are among the winners of this year’s Environmental Media Association Awards. The organization presented its 22nd annual honors for programs that raise awareness about environmental issues Saturday at a private ceremony on a sound stage at Warner Bros. Studios in Burbank, Calif.
Malin Akerman, who hosted the event, performed with her band and announced that she is expecting her first child with husband Roberto Zincone. Other winners announced Saturday include the Disney Channel show “Handy Manny” and the National Geographic Channel’s reality show, “Superfish: Bluefin Tuna.” Jessica Alba and Ian Somerhalder were also recognized for their environmental contributions.